TELEPHONE COMMITTEE MEMBERS call your lists early in the week of February 10th as your calls do help to increase attendance. For those of you who haven’t yet renewed membership, the cost is $15 per member or $20 per couple. Only paid up members names can be included in the 2014 year book. So please make checks payable to ECA and mail to Mark Ross, or pay at the February meeting. If a member has any doubt whether they have paid or not please check with Mark by phone or email. If you ordered Earthpots at the January meeting, they will be delivered at the February Meeting. The cost is $5.00 per tray due to increased shipping costs. The club membership only plant sales are at the March and April meetings. Additionally, a public plant sale is held in April. For this year it will be at Furney’s Nursery on Sat. Apr. 12th. ECA growers are encouraged to bring started plants to the sales to help others who do not have the facilities to start new cuttings and/or to provide a cadre of plants for growers who wish to add new varieties, replace old, non responsive stock, etc. The price to the general membership is: $2.00 per plant. The price for plants to the public (April Sale) is: $2.50 per plant. In general the plants available at the March sales will be the late varieties, classes 1 through 10. By March and through April, the earlier blooming varieties, i.e. Early English and many American varieties will show up. New Members are encouraged to have their Coach help them select plants. This helps to assure the new grower success, avoid the early season pitfalls, and also provide access to a larger selection of plant varieties such as the early English and American varieties that are typically available in March and April. Now is the time to develop your new growing plans. Then you can come to the plant sales ready to explore and buy. Presenters; Chris Brookes – ECA, and Ray Gray – Owner Kings Mums. If you and any friends are planning a visit to this years “flower & garden show” and can be there on Sunday February 9th, please come to the show. If anyone in ECA would like to show this Power Point presentation to other gardening groups its very easy to organize. The presenter’s notes and all of my images can be saved to a memory “stick” and given to you for your computer. If you would like to use the ECA projector please let me know a week or so in advance and I will arrange to get it to you. PLANT CULTURE – Continue to start plants for our public sale in April. Plants must be given protection for the first few months and carefully nurtured to establish strong root systems before potting or repotting. In February, take starts for the early blooming varieties. At this month’s meeting, the focus is growing plants, cultivar selection, materials and your reference books. Cultural recommendations are attached. ·	Plant Labels, White and Yellow 100 per pack. ·	M&R Soilless Growing Media (Need enough orders to buy a pallet for a lower price). The cultural committee has decided to provide only M&R mix. It is a better product for mums than the mix used previously. This mix can be used for all pottings from the first 2 ½” pot to the 9 or 10” final pot. Contact: Mark Ross or Ronnie Elliott with Supply and Soilless orders. Continue taking cuttings throughout Feb. and into March for some. A few early Feb. cuttings can be available for the March/April Plant sales (March Members sale at the March meeting and the public plant sale on Sat. April 14th). Most Feb. and March cuttings should be of the early English and American varieties. Late Decoratives, Classes 4, 5, 14 and 15) should be started primarily in Feb. Take cuttings for yourself and for the plant sale. Most varieties in classes 1,2 and 3 should have been started by the end of January: however here are some varieties that can be successfully grown from Feb. cuttings. #1 & #2’s Lundy, Yellow Lundy, David Dando, Ralph Lambert, Yellow Ralph Lambert, Athabaska, Harry Gee, Jane Sharpe and Seychelles. #3’s Len Hall, Salmon, Primrose and yellow Fairweathers, Stockton and Heather James. 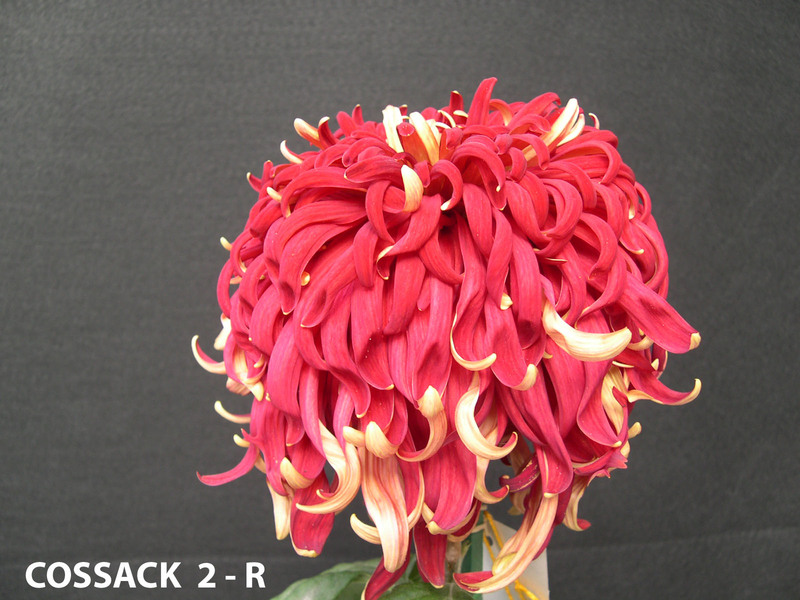 Fariabault Growers in Faribault, Minnesota sells some much hardier mums that we are accustomed to growing at ECA and several of our members have purchased some garden varieties and reported excellently rooted cuttings. Looking for something to dress up your yard? Give ’em a try.